Bridie Hill started singing and playing music at a young age and now holds a Bachelor In Opera (with Honours). 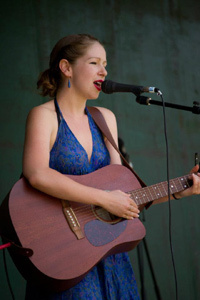 Self taught in guitar Bridie has been playing gigs around Canberra for a couple of years and brings to the stage her own form of folk/pop sound. Bridie has a CD available called “Lets Just Be Friends”.